Without a doubt, these four bumbling super villains are the world's worst bad guys! 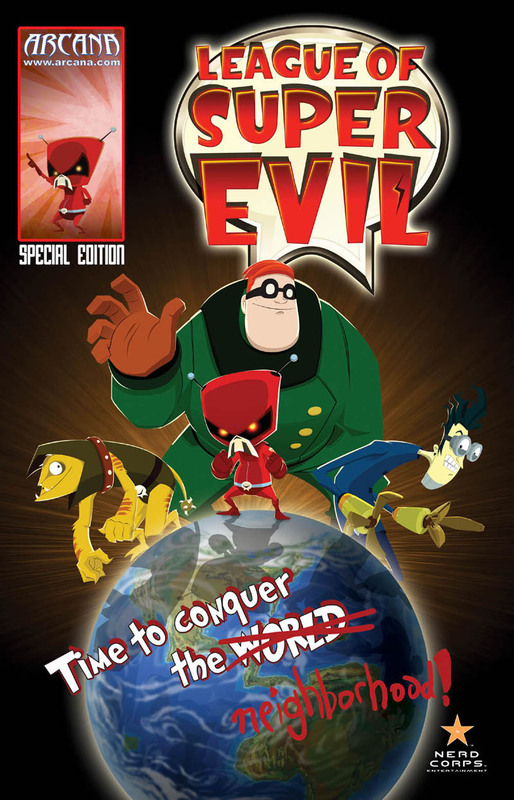 There's The Great Voltar who's as short as he is delusional, unlucky-in-evil gadgeteer Doktor Frogg, muscle-bound nice-guy Reginald 'Red' Menace, and the completely unpredictable Doomageddon, who brings 'bad dog' to a whole other level. 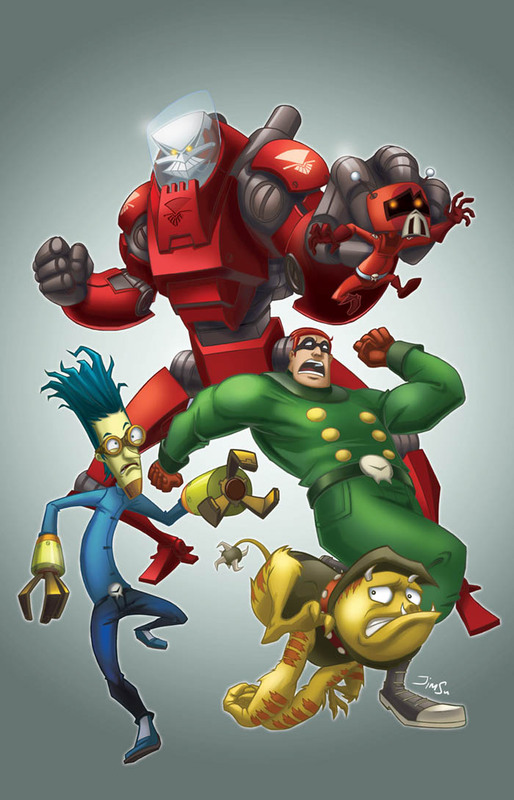 These guys may think they're bad to the bone, but with no budget, no skills and not a heck of a lot of brain power, evil is the last thing they really are! 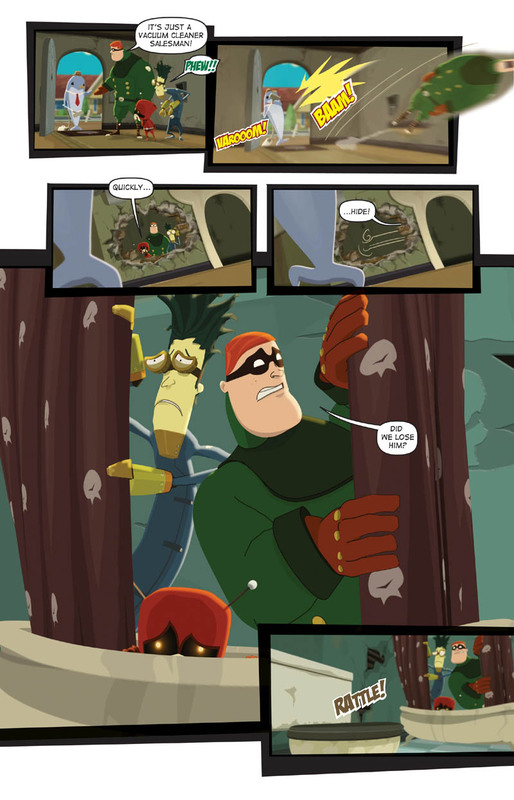 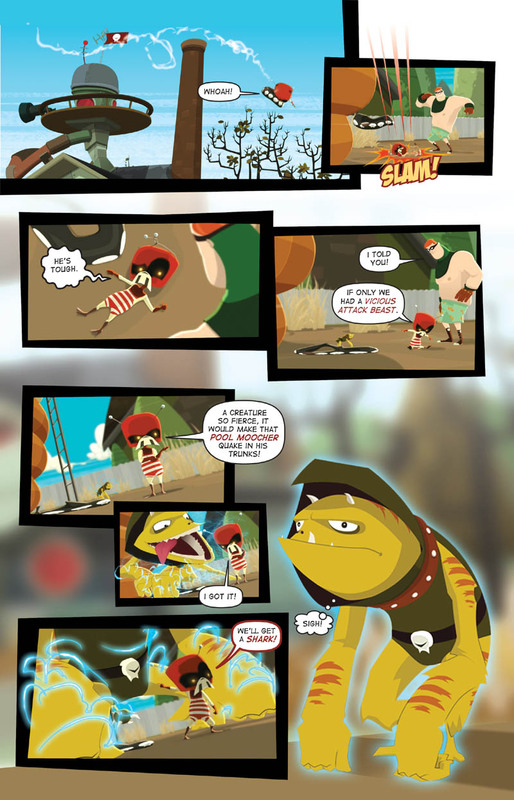 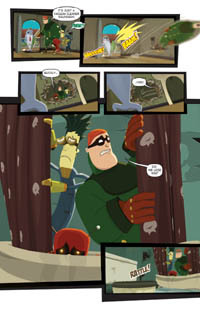 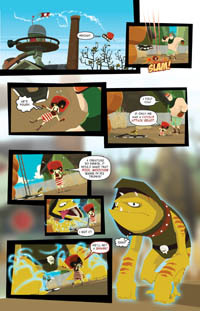 Published by Arcana Studio, Produced by Beach CS and DMF Comics. 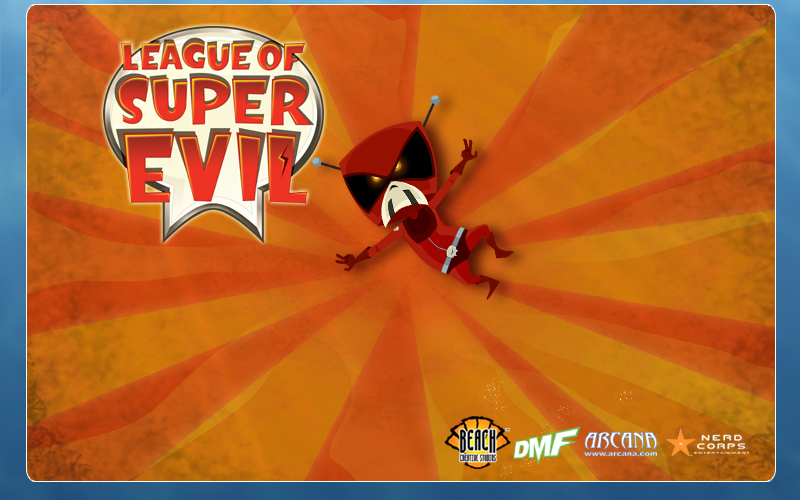 League of Super Evil TM characters, designs and likenesses © 2009 Nerd Corps Entertainment Inc. All Rights Reserved.